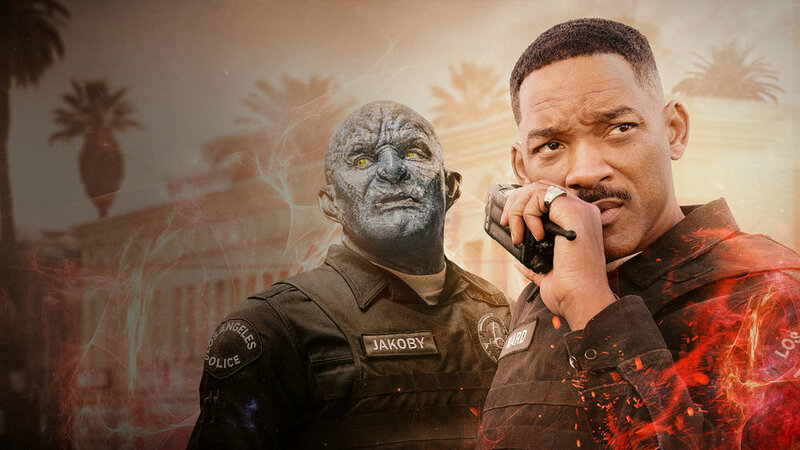 Bright is a new Netflix original movie about a human LAPD cop (played by Will Smith) who has to team up with an orc cop (played by Joel Edgerton) to fight some rogue elves who are desperate to regain possession of an unspeakably powerful magic wand. It is a terrible movie. Very, very terrible. I’m the sort of person who is generally pretty forgiving of crappy movies (especially if they involve monsters and fantasy creatures) but this was a bridge too far even for me. Every time I was half-bored during the movie I would imagine Max Landis (the credited screenwriter) pitching his story to Netflix's top brass. Honestly, it is easy to see why the well-known creep's pitch sounded good to the streaming giant's money men. Bright is the sort of high concept mash up that used to happen a lot in the 90s. The same way that Speed is “What if you took Die Hard… but put it on a speeding bus?” Bright is “What if you did a gritty cop movie… but with Lord of the Rings characters?” If you are like me and you grew up on a steady diet of “[already existing popular film] with [five word long easy-to-grasp twist]” movies then it is pretty easy to imagine "Lord of the Rings, but in modern day LA" leading to a likeable (or at least functional) end product. The difference between Speed and Bright, however, is that there’s nothing incompatible between Speed’s two core concepts. In fact, it is easy to imagine scenarios where a random everyman cop would get dragged into a dramatic situation on public transportation. In contrast, it is much harder to reconcile high fantasy and gritty street level police work. The problem stems from the fact that audiences want completely different things from the two genres. Obviously there are tonal disconnects – fantasy movies tend to tell rousing larger than life stories while cop movies tend to be gritty and down to Earth – but it is deeper than that. The best fantasy movies work because they do a great job of building new worlds that seem like they extend beyond the limitations of the specific story the audience is seeing; they are fundamentally expansive. In contrast, cop movies are at their best when they seem realistic and true to life; they take the broader world that the audience lives in and narrow it down to a single case that the viewer probably isn’t familiar with. Both succeed when they feel specific and lived in, but one offers a broad path to escaping to a (theoretically) better world and the other offers us an (often uncomfortable) insight into a small segment of our real world. Don't get me wrong: I'm not saying that would be impossible to reconcile the two genres. In fact, I can think of at least one auteur who could probably pull it off: Edgar Wright, who proved that he could make a fun buddy cop movie with Hot Fuzz and that he could make a solid sci-fi movie with the World’s End. That man has a knack for combining genres and I’m sure he could figure out some way to make a cops-and-orcs-and-robbers movie work. But Bright is not directed by Edgar Wright. No, it is directed by David Ayer, the much derided mastermind behind Suicide Squad, and it suffers from many of the same problems as DC’s unloved bad-guys-band-together-to-save-the-world saga. Namely: Bright is unfocused and borderline incomprehensible. David Ayer can’t decide if he’s making a fantasy movie that stars cops or a cop movie that stars orcs. Actually, in practice the film is neither, because Edgerton’s orc character seems like he is meant to be the comic relief but Will Smith isn’t willing to play a conventional straight man part. 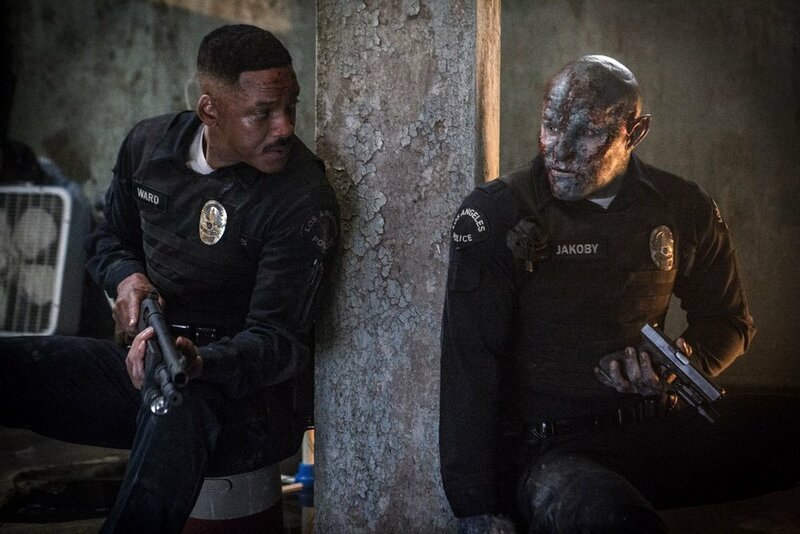 As a result, the two of them are constantly bantering as if they were in a silly buddy cop movie – but Bright doesn’t feel like a light hearted comedy because it takes place against a very mean spirited and violent backdrop. Bright's L.A. is the sort of place where gang bangers have to live with colostomy bags after they take a bullet on the street, and it is hard to reconcile silly one liners (much less magic wands) with such a grim setting. In other words: Bright is not a well crafted meal. The exposition scenes, the comedy scenes and the fight scenes bump into each other like undigested chunks of gristle in a particularly unappetizing and noticeably un-stirred stew. In contrast, even Bright’s basic set up doesn’t make sense. We’re supposed to believe that in this world there have always been multiple humanoid creatures that were in direct competition with each other, and that the ground-zero moment for Western Civilization was not the birth of Christ but rather a great war between elves, orcs and humans which happened thousands of years ago and which permanently created a stratified caste system of different species... But… even though Bright's alternate timeline is completely, fundamentally different from humanity's real history, the fictional version of Los Angeles that functions as Bright’s backdrop is still basically interchangeable with the real L.A.? We're supposed to believe the Elves didn’t use their higher intellects to circumnavigate the globe earlier than we did in the real world? And then when the elves and the orcs did land in North America they ended up building the exact same sort of society complete with the exact same sort of government, architecture and culture? And in the exact same spots? Orcish and Elvish are both real languages in Bright, so isn’t it a bit weird that Los Angeles still has a Spanish inspired name? I know that complaining about the disconnect between Bright's radically different alternate history and its (inexplicably) minimally different present makes me sound like petty nerd who is prone to nitpicking. However, I bring it up because half-assed world building is the quickest way to handicap a fantasy story and that’s the best example I can give to prove just how slapdash this movie is. Bright started with an easy premise and then... did nothing to workshop it or improve it. They didn't build any new locations or imagine any alternate technology; they just told Will Smith to go out and substitute the word "fairy" for "black" in the phrase "black lives matter." Netflix is reportedly very happy with Bright’s initial success, happy enough that they’ve already green lit a sequel. I’m sure that it has done very well for them numbers wise but nonetheless I think that making Too Bright Too Furious would be a mistake. I have to imagine that the majority of Bright’s viewers were like me and they gave the movie a try out of curiosity… And like me they have no interest in revisiting Bright’s half-baked world. I don't know if they have this saying in Bright’s world – or maybe they do, but it’s just said in some Elvish dialect that I don’t speak – but here in the real USA we have a saying: fool me once, shame on you, fool me twice, fool me won’t get fooled again. So let me say for the record: shame on you, Netflix, and you better believe that I’m not gonna get fooled-fool-me-again by your Orc-Cop nonsense again.